Last weekend, we drove 125km west of Brisbane to visit “The Garden City” of Toowoomba, in Queensland’s Darling Downs region. 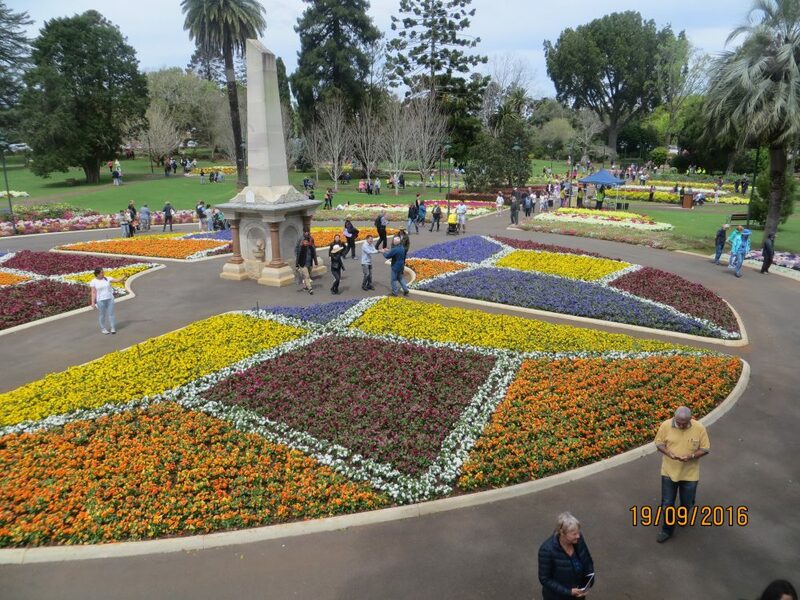 The occasion was the The Carnival of Flowers, Toowoomba’s preeminent garden event, now in it’s 67th year. 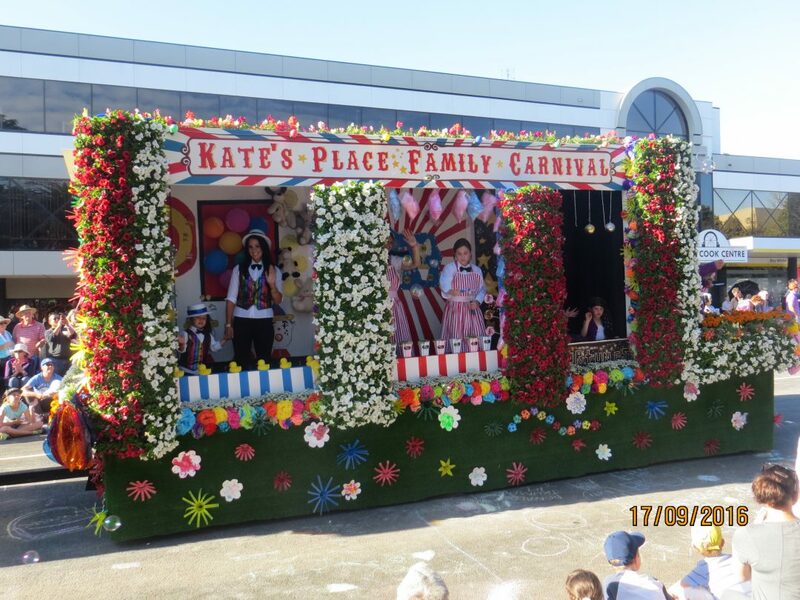 Thousands flocked in to Australia’s sixteenth-largest city, to see the annual display of freshly mowed lawns, colourful flowers, manicured gardens and decorative parade floats. Over at Laurel Bank Park, there was a beautiful “Music in the Park” flower bed display – interspersed with freshly cut, green lawns – plus a colourful array of seasonal flowers in the surrounding sections. 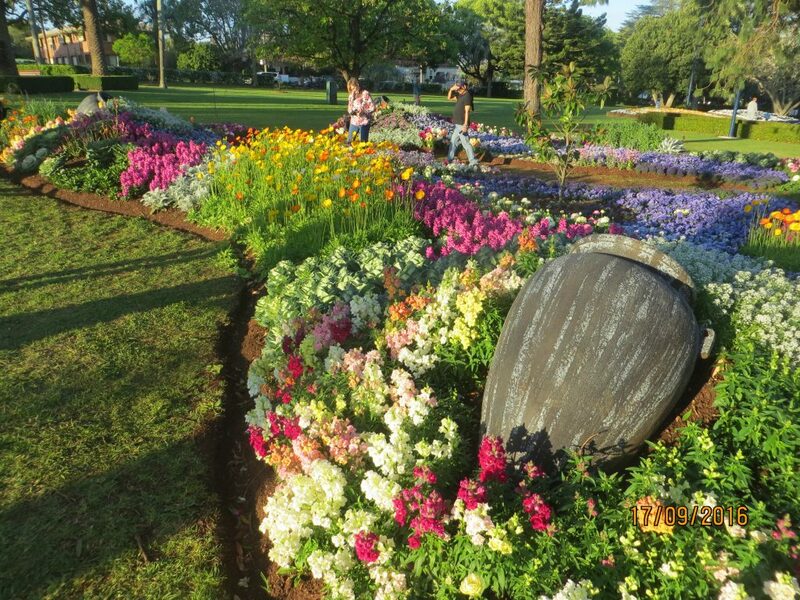 All in all, a lovely weekend for garden lovers who enjoy pottering around the showcased gardens with no time commitments stealing your attention elsewhere. 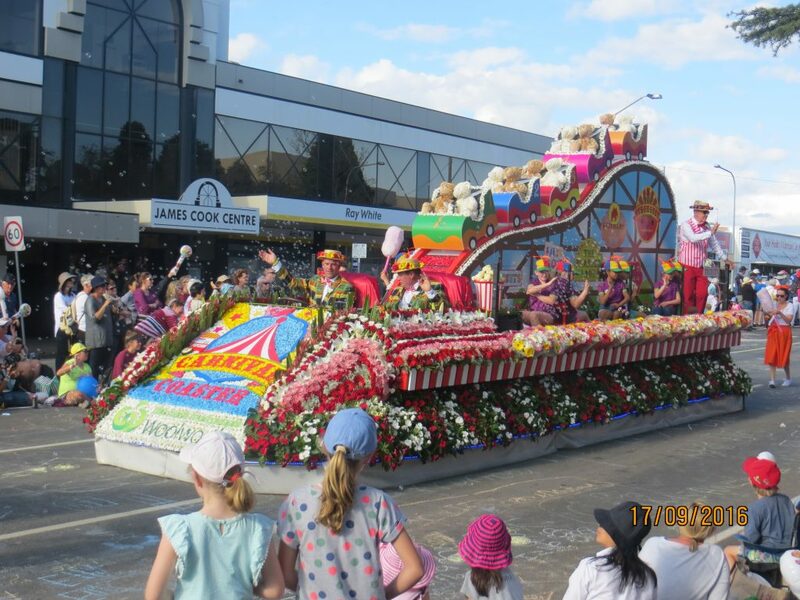 One tip though: if you’re planning on visiting the Toowoomba Carnival of Flowers next year, remember to pack an extra jumper. There was a good 5-7 degrees difference in temperature, both in the day and in the evening, which took a bit of getting used to for us spoilt Brisbane and Sunshine Coast folk. Thanks Toowoomba. We’ll see you next year! 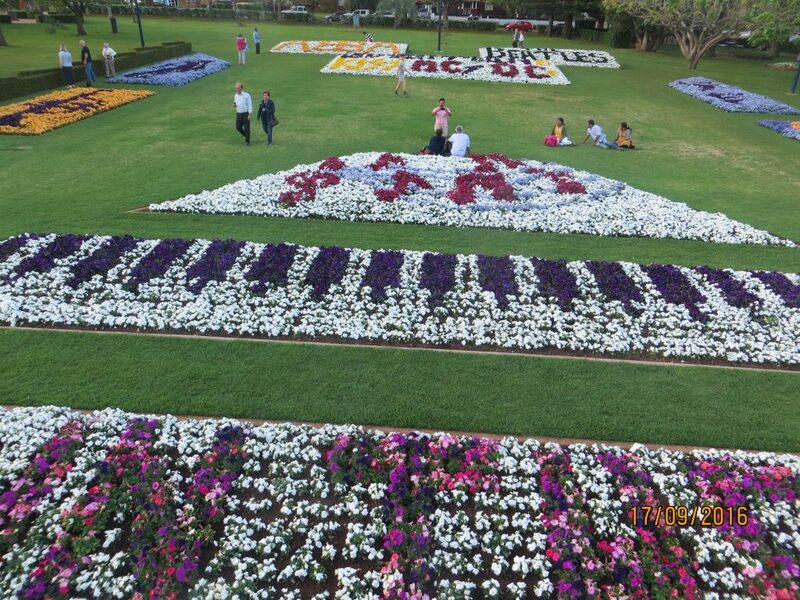 Interesting Wikipedia fact: The Carnival of Flowers was the subject of a sponsored film in 1953, produced by the Queensland Minister for Lands and Irrigation. 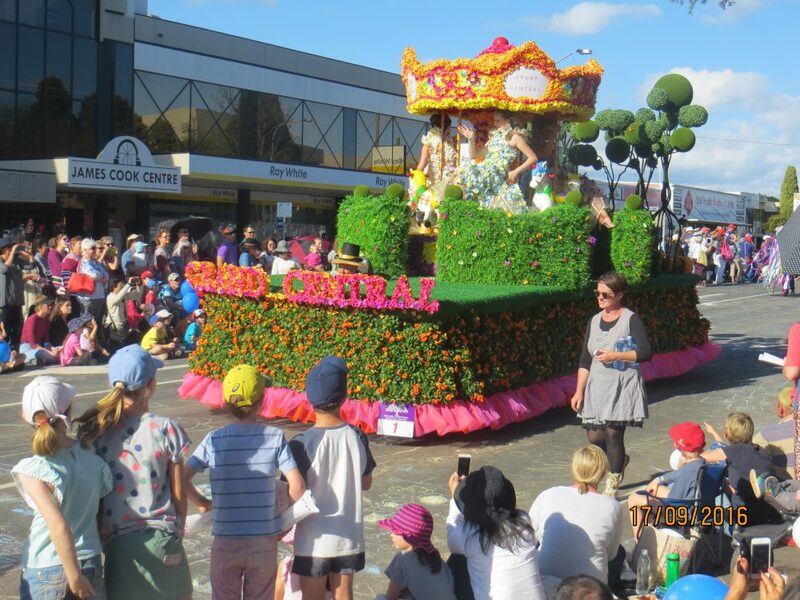 The film Carnival of Flowers depicts the floral parade, the home gardens competition and the crowning of the Floral Queen. It was said to be “a wonderful portrait of life in 1950s Queensland”.